I'm always happy to respond to my peeps. If you have a question, remark or simply want to say "hi," please fill out the form below. I will try and respond to every message, but the volume can delay my responses sometimes. whats up? good luck with everything you do! My name is Venus Perez of Venus Perez Publications. I am the copyright, publisher and author of the book. I am also a distributor with Amazon, Barnes & Noble and Lightning Source and various other bookstores. I was hoping if your organization would add new book to your website. 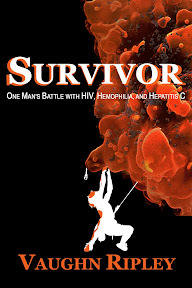 The new edition has up to date information from the health departments and has a HIV/AIDS & STD Prevention chapter added. New book pic has been submitted in email for submission for your organization. Book available in Print or Ebooks. For daily HIV/AIDS information and postings.